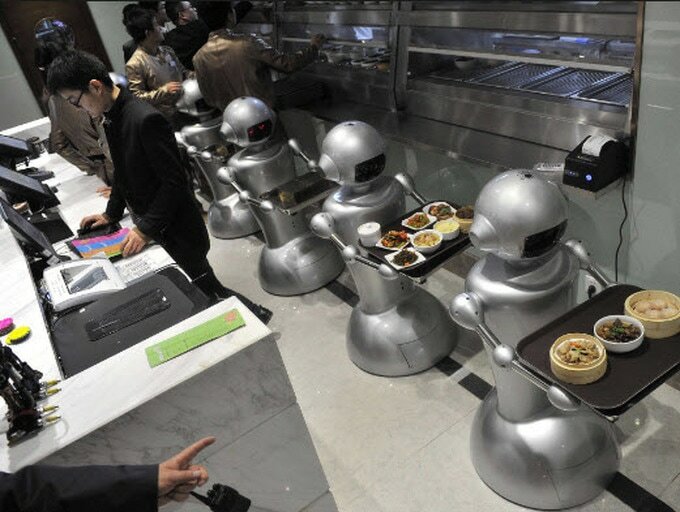 Photo: Many restaurants are now investing in robotics. These waitresses can take tips as well. The 21st century continues to roll on fast into the future. Change is the only constant in this new world of electronics and robotics. Robots are fast replacing many unskilled jobs. Those advanced countries which recently fell on hard economic times in the last decade, such as the USA, are reinventing their industrial cycle with low cost robotic labor input. Thus, 20th century concepts of post industrialisation and economic decline is now turning into 21st century robo industrialisation and economic reinvigoration. Whilst many commentators and analysts pessimistically focus on the negatives of robotics, there are also just as many if not more positives. The advent of the robotic age cannot be stopped or turned back, just as society today could not turn back to the technology of the stone age. The only way forward is to reach out and grasp the change positively. Photo: Understanding and reaching out for the future with optimism and a positive force of change. The economics of robotics will require a strong education sector and an open economy for different countries such as Australia and the Philippines to take advantage of the new economy. For the many low skilled jobs that will disappear to robots, there will be new ones required for high skilled maintenance, programming, and other high end computing tasks. 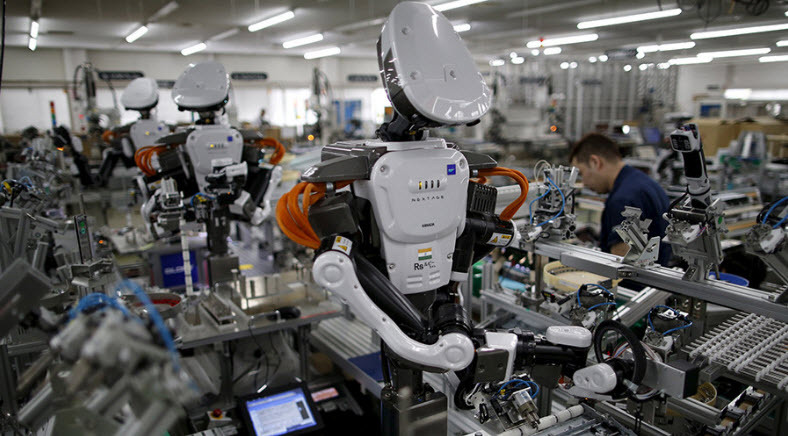 ,Photo: Robots becoming more advanced in production line facilities, assisting higher skilled humans. As noted before by RFA the Philippines has become an IT global superpower with its great human resource talent and good work ethic. If people in the Philippines, along with other regional countries such as Australia, continue to invest in the technology revolution and share their ideas through educational collaboration, then they will be able to better future proof themselves from economic shocks and disruption as the world continues its fast pace of organisational and technological change.